475/500x19 European Classic Tyre for the Ford Model A with 19" wheels. (The 1930-31 Model A originally had 19 inch wheels). Produced in Europe and designed to offer classic styling with the famous block tread pattern from the 1930's. 5 LEFT FOR COLLECTION ONLY! 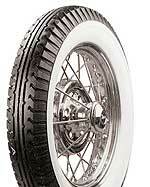 475/500x19 European Classic Whitewall Tyre for the Ford Model A with 19" wheels. Produced in Europe and designed to offer classic whitewall styling with the famous block tread pattern from the 1930's. ONE LEFT FOR COLLECTION ONLY! 4.40/4.50 -21 European Classic Tyre for the Ford Model A with 21" wheels. (The 1928-29 Model A originally had 21 inch wheels). 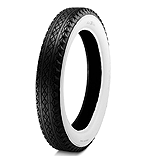 4.40/4.50 -21 European Classic Whitewall Tyre for the Ford Model A with 21" wheels. European Classic 4.40/4.50 -21 tyre with 75-mm whitewall is produced in Europe and designed to offer classic whitewall styling with the famous block tread pattern from the 1930's. 475/500x19 Firestone Whitewall Tyre for the Model A Ford when fitted with 19" wheels. (The 1930-31 Model A Ford originally had 19 inch wheels). These 19" Firestone tyres are a 4-ply antique polyester tire with a 2-5/8" wide whitewall. Made in the USA. TWO IN STOCK LEFT FOR COLLECTION ONLY! 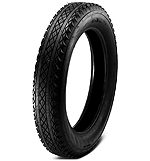 If you are looking for another tyre brand, we can highly reccomend Longstone tyres in the UK. 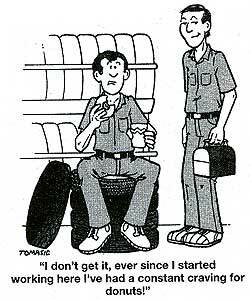 They can offer worldwide delivery on all your vintage tyre requirements. Telephone 01302 711123 and tell them that we sent you!